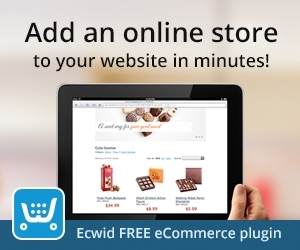 Online Store Powered by Ecwid • $300 – $500*. Simple to use and maintain. Both for store owner and for customer. Can be easily integrated to any existing site. Lightning fast. New-gen technologies make Ecwid much faster than usual shopping carts despite which hosting service you use. And more than 100 other features.